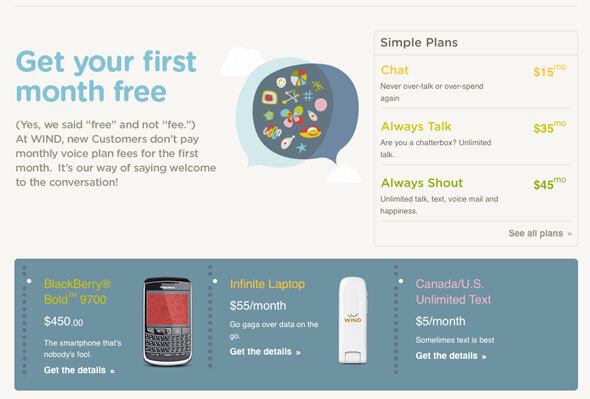 Wind Mobile pricing plans have just been officially announced. We'll have more details on Toronto's newest mobile carrier later today (update: Write-up and photos of first WIND Mobile Toronto store here) but at initial blush these plans definitely look favourable compared to the competition. Unlimited instant messaging, Facebook and MySpace. Source: Howard Forums and Wind Mobile. Photo by Himy Syed on Flickr.